The Pacsafe Dry Lite 30L Backpack is an agile anti-theft backpack that is 15" MacBook compatible with security features like eXomesh anti-theft slashguards, slashproof Carrysafe® shoulder strap with Dyneema®, PopNLock security clip for enhanced security. The backpack also has extra features like Roobar Sport locking system along with external attachment points for small items such as pouches and water bottles & the shoulder straps are made to allow good airflow through, sternum strap along with a pen loop & water bottle pocket. The Pacsafe Dry Lite 30L Backpack - Black has many exciting features for users of all types. 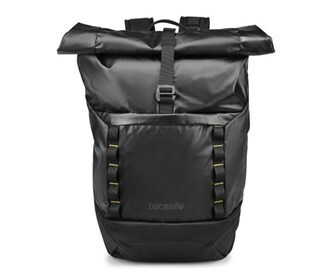 See the Pacsafe Dry Lite 30L Backpack - Black gallery images above for more product views. 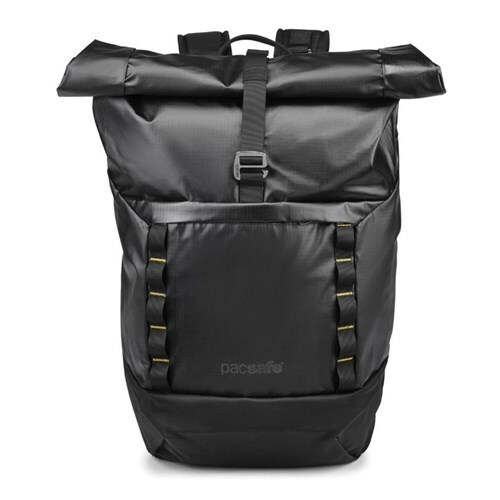 The Pacsafe Dry Lite 30L Backpack - Black is sold as a Brand New Unopened Item.